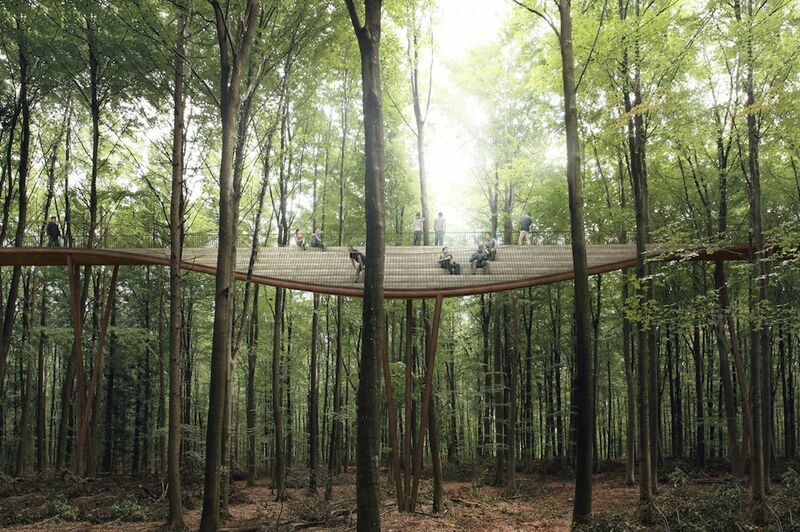 This treetop walkway in Denmark might be the most gradual and peaceful way to get over your fear of heights. 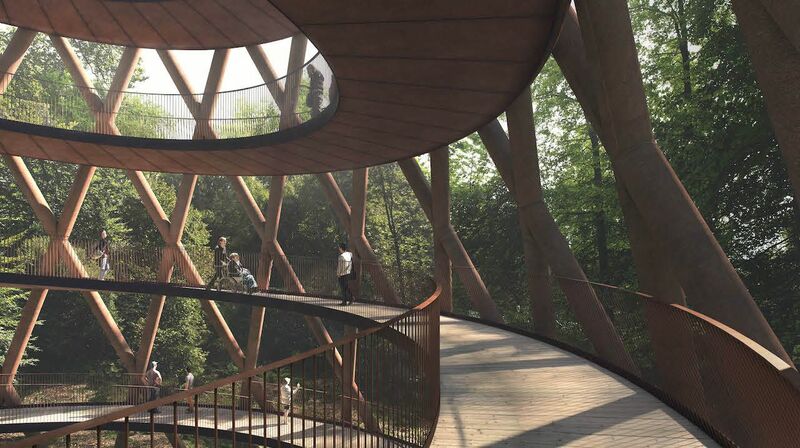 The walkway, called the Treetop Experience, was built by Effekt Architecture in a preserved forest an hour south of Copehnagen. Called Gisselfeld Klosters Skove, it gives visitors a true bird’s-eye view of the treetops. 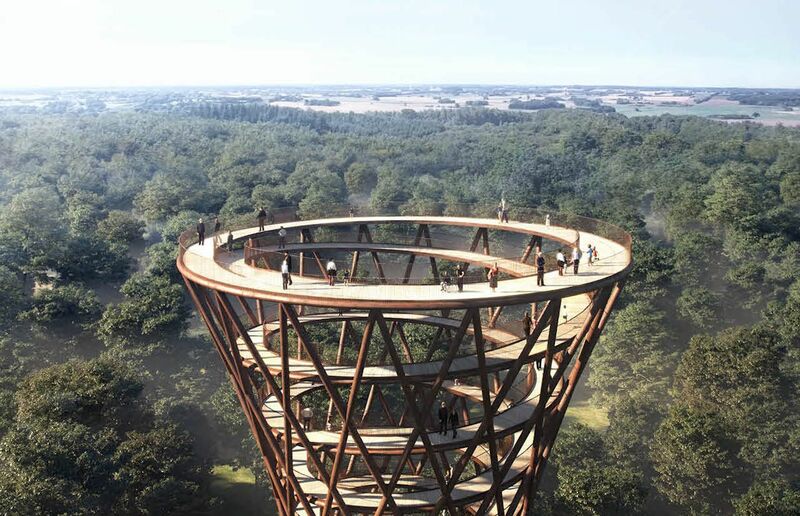 The spiraling walkway is connected to a 148-foot-high observation tower, and it’s split into two routes: the high route passes through the oldest part of the forest, while the low route and tower are in the younger areas. 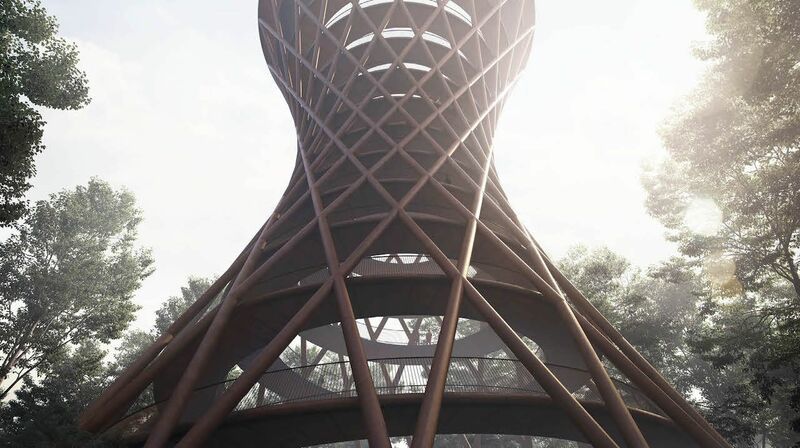 Nestled in the midst of trees, lakes, creeks, and wetlands, the observation tower is an impressive architectural feat. The curved frame is hollow in the middle, and like a funnel it gets more slender as it goes down. An enlarged base creates stability, allows for a wider viewing platform at the tower’s peak, and makes it easier for visitors to interact with the surrounding canopies. Camp Adventure also claims that when the weather is clear you can also see the Øresund Bridge, Turning Torso in Malmö, and parts of the Copenhagen skyline. Tickets to the tower can be purchased online, and cost 125 Danish krone ($19).